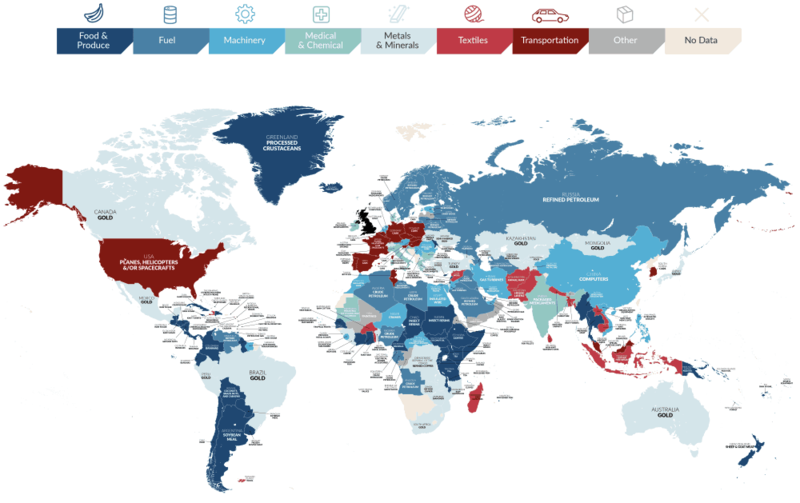 The map above shows the top item the UK imports from every country on earth. 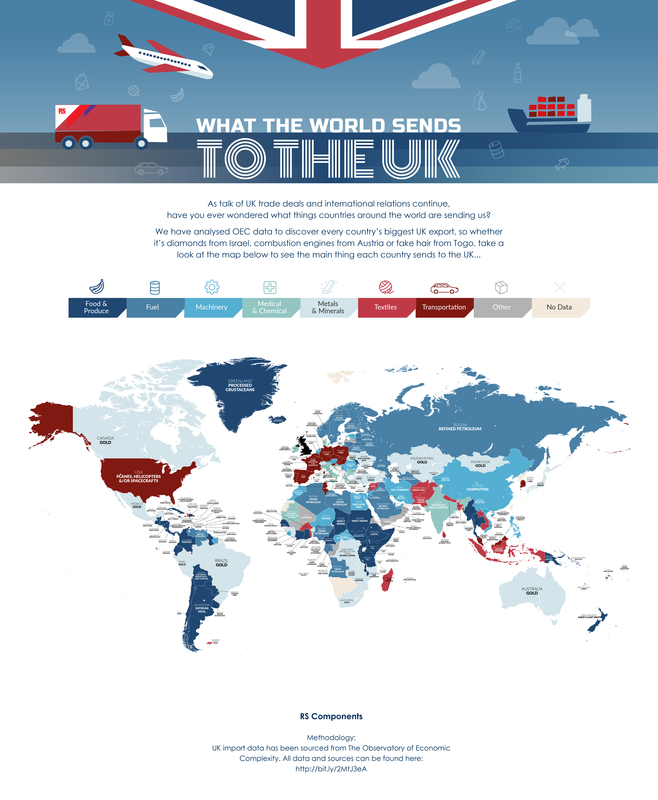 Overall, the UK imports around £54.5 billion worth of goods, services, food and commodities from the rest of the world. The most popular category of imports to the UK is food and produce. This includes fish fillets from Iceland, sheep and goat meat from New Zealand and wine from Chile. 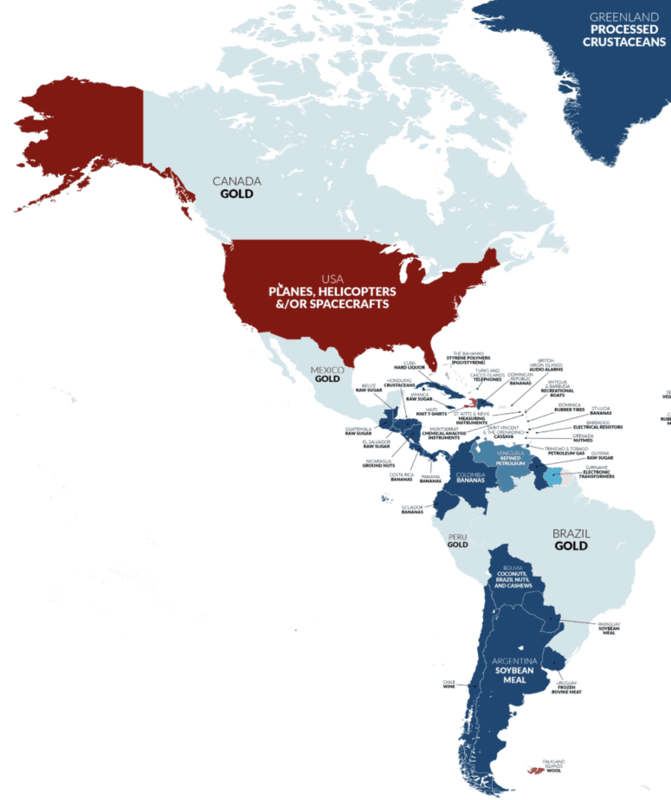 13 countries top export item to the UK is gold. 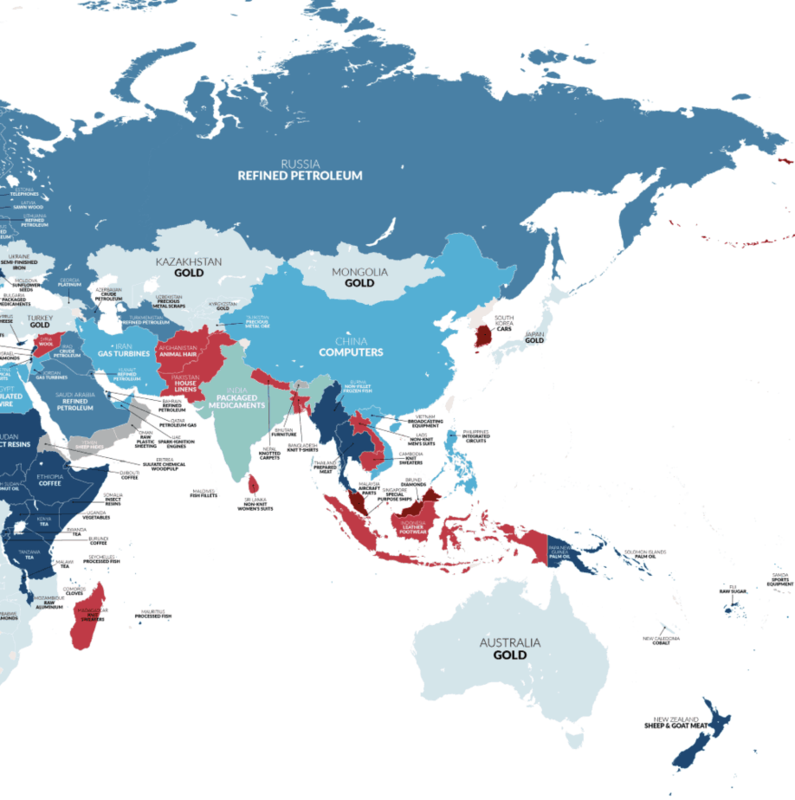 This includes Australia, Brazil, Canada, Japan and Turkey. 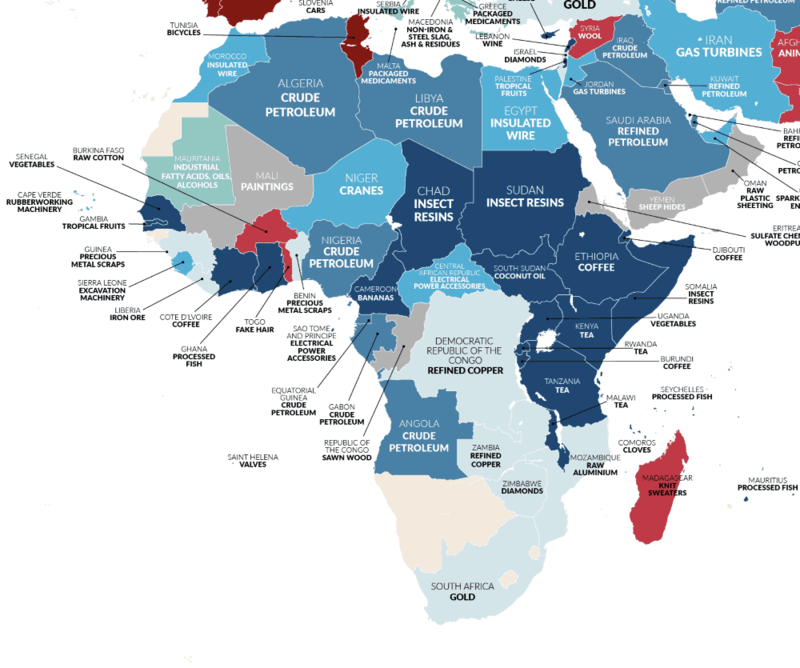 Brits love their tea and it’s the top import item from Kenya, Malawi, Rwanda and Tanzania. 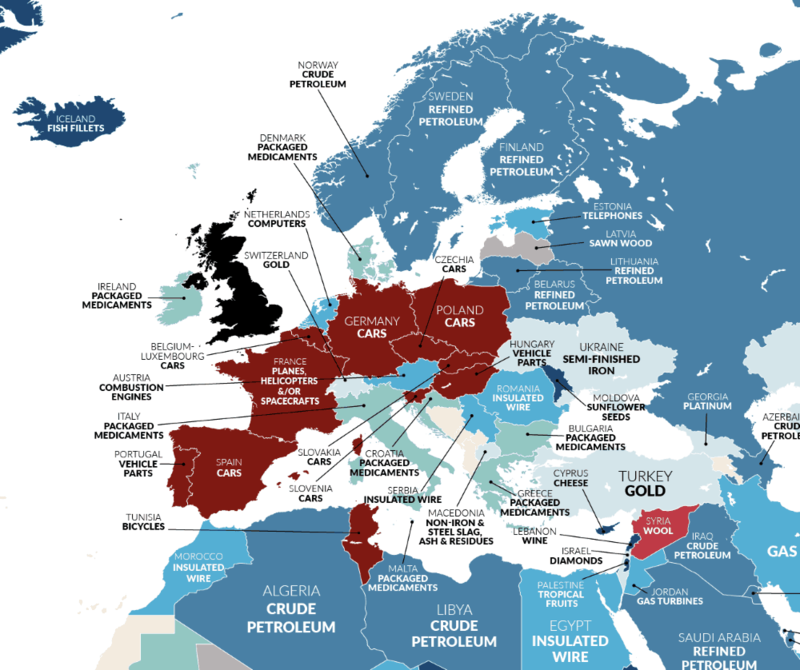 21 different countries send the UK some sort of fuel products including crude petroleum, petroleum gas and refined petroleum. This includes the usual suspects such as Venezuela, Norway, Russia and Saudi Arabia and a few surprises like Finland, Sweden and Belarus. Uncommon import items include: insect resins from Sudan and Chad, fake hair from Togo, insulated wire from many countries including Morocco, audio alarms from The British Virgin Islands, cheese from Cyprus, wool from Syria and knit sweaters from Madagascar. Dacia cars are from Romania.